Every living thing has an aura. This is an energy field that surrounds the physical. The aura can reflect our health, our spirituality and our everyday life. There are many colours to the aura, which are not usually visiable to the naked eye. Each colour signifies a certain vibration which can have different meanings. It is believed that the aura is also connected with the activity of the chakras within the human body, which can reflect the level of consciousness, emotions, thoughts, and energies of a person. Aura's can be viewed in photography. At Feathers Academy we use the Winaura System of aura imaging to provide a photographic auric reading. 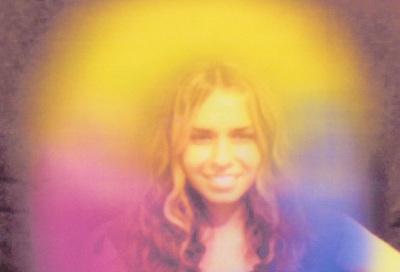 It is also possible to be able to see the aura via the naked eye, with a little practice. Ask a friend to sit against a plain white or very light background. Have your lighting dimmed or softened. Now sit about 6 ft away and take some deep breaths. Stare at the person just slightly to either the left, right, or just a fraction above the head. This should give the effect of being able to see the face and the head, but out of focus as you are looking just past the person. Keep on staring and you will shortly notice a white band of light appear around the head and shoulders. The longer you stare at this, you will notice that it broadens and becomes brighter. It maybe even start to resemble a smoke like appearance. You may now begin to see colours emerging from this. You may be aware of colours in front of a certain area of the body or the head. These colours will represent the energy that is around that person at that time, or the colours that they need to have around them. For example, if you start to see green around the shoulder area, it could be that there has been a recent injury or painful area with the shoulder and healing is needed there. The more you practice this technique, the more you will be able to see. Sometimes we can just sense, or feel a persons aura rather than physically see it. You may be aware of wanting to put a certain colour around yourself, a change of appearance etc. This is you listening to your own aura, and what it is telling you your body needs. Our aura can absorb negative energies depending upon the personal circumstances that we find ourselves in. We can pick up negative energies from situations and also from those around us. Our aura is rather like a sponge and a magnet, absorbing and attracting the energies from others as well as reflecting what is going on in our personal lives. Sometimes when we feel down in the dumps, or have a run of bad luck, or just particularly feeling a little bit out of sorts, it could mean that our aura needs a good old cleansing. few methods that you could try. 1. Have a hot bath with 3 tablespoons of sea salt or 1/2 cup of baking soda. As you relax in the bath you can imagine that the water is penetrating all the layers of your aura, drawing out all the negativity and brightening and cleansing in its place. 2. You can also do the same excercise in the shower. Imagine that the as the water washes down over your body the negative energy that has been clogging your aura is being drained away. You should slowly start to feel the brightness as the aura begins its cleansing. 3. As with the shower, walking in the rain imagining the same excercise has wonderful results. 4. Use a smudge stick to smudge around your aura. if you can get someone to do this for you it is more beneficial as they can walk completely around you whilst smudging. Smudging is an ancient Native American tradition which involves the burning of a sage or sweetgrass wand. Many cultures now use this method. The idea is that the smoke draws the negative energy, and as the smoke starts to clear it takes away that negativity and neutralises and purifies. 5. White feathers can also be used to brush the aura in a similar way to the smudge stick. This can easily be done by flicking the feather all around your body in outward motions to brush away the negativity. The fingers can also be used in the same way, rather like a comb, brushing away the negative into the atmosphere. Imagine that all the little bits of negativity that you are brushing away is being swept into a container of any kind. When the container is full, imagine it going deep into outer space and emptied. This will then be neutralised within that time frame. 7.Regular meditation is always a good way of cleansing the aura as you are relaxing and releasing the negative issues that irritate us on a day to day basis.